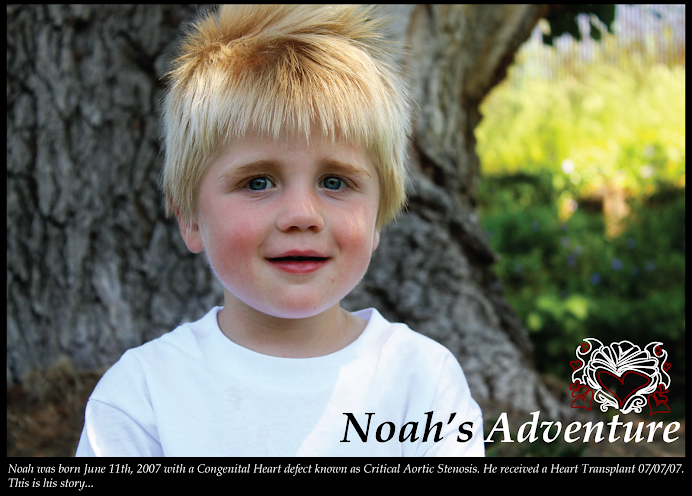 Thursday July 5th, Noah went to the cath lab to have a stent put into his atrial septum (the hole in between the left and right side of the heart). His heart was so swollen from the increased pressure, the Drs were hoping to relieve some of the pressure and help it shrink down (I saw the x-ray, his left side was SO big it touched the far side of his ribs completely collapsing his lung). As I sat in the Surgery waiting area, I felt so lonely. I saw all these other families waiting for updates on their loved ones. They had each other to talk to and help distract them. I don't think I have ever felt so lonely in my entire life. Then I had a thought. Shane wasn't scheduled to come out for another week because he couldn't take time off work. But it just so happened he had Saturday off anyways. I decided he needed to come out this weekend, regardless if the ticket was more money since it was short notice. He needed to be here. I called him and convinced him to come. I used the hospitals computer and bought him a ticket. Noah's surgery took over 7 hours and when they were done, Noah was very sick. Over the next night, his stomach began swelling. By the next morning, the Drs were concerned that his bowls would rupture. He needed a heart so badly. The procedure had just taken so much out of him. It was suppose to help make him last longer in case a donor wasn't available for a while but it made him much sicker. I left the hospital scared but with renewed strength knowing I would see Shane in a few hours and that would help me be strong. I went back to our room at the Ronald McDonald house to get dinner. My phone rang at 5:18 pm. It was the hospital. When I answered it, it was Allison the Transplant Coordinator. When she told me that, the thought came to me... "Do you have any idea what you do to me when you call???" She sounded very reserved and almost preoccupied. Then she said the last thing I expected to hear. 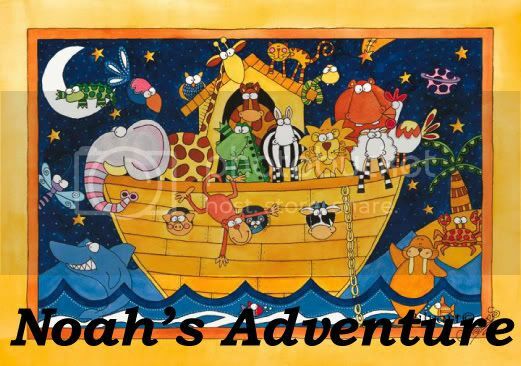 "We may have a potential Donor for Noah." I was so shocked I think I actually asked her if she was serious. She told me it takes a while to work this sort of thing out so there was no rush. To go get Shane from the airport and then come on over. I hung up the phone. I looked and Jen and she asked me if he got a heart. All I could do was nod and then I started to cry. My baby was getting a new heart!! I called Shane. He was on his way to the airport. When he answered I told him we got the call. He didn't understand what I meant. All he knew was that I was crying. He panicked and asked me what was wrong. I told him... WE HAVE A HEART!!! We got to the hospital about 10. Around midnight, they figured it would still be a while so they told us to go try and get some rest. We came back to the room and while we were laying down, Lilly woke up and saw her Dad. She then stayed awake for the next 3 hours. She finally fell asleep and then the hospital called and said to come back around 4am. He was suppose to go in about 5:30am but it kept getting postponed. We could never find out if they had actually seen the heart or if there was a possibility it could get called off. Around 8am, we heard they still hadn't seen it then 5 minutes later, they had and were on their way. Talk about a Roller coaster!! Noah was wheeled into the operating room at 8:30 am. We waited in a family room and the transplant coordinator came and gave us updates every hour. He did really well and we got to see him at 3:55 pm. He looked so sick. So many drainage tubes and wires. But here was our baby with a NEW heart! He has had his new heart for 5 days now. He's doing about as expected. He was so sick before that now that he has a healthy heart, we have to wait for the other things to heal (like his lungs and his stomach) and wait for the heart to recover from being cold for so long. 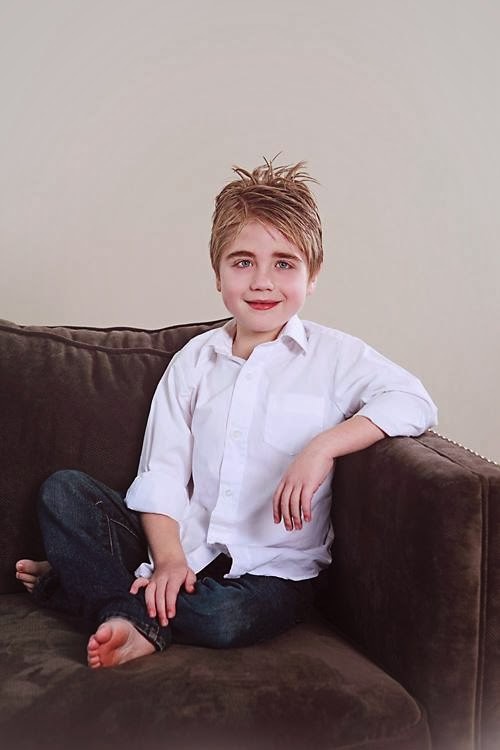 The Drs are confident that he will start making major progress within the next few days and he'll be released to the Ronald McDonald house soon. Then, if we don't have any rejection episodes, we will get to go home to Salt Lake in October. I am so thankful my little man has a new healthy heart and that Shane was here when he got it. I am thankful for all the prayers and faith on his behalf that got us this far. And I am eternally grateful to our Donor Family and difficult decision they made to help save my baby's life. This past month has been a very surprising rocky experience. One I never would have imagined that I would experience. But it has strengthend my faith and enriched my gratitude. And when Noah grows up, I will forever tell him the story of how he was in the prayers of so many and received the greatest gift ever before he was even one month old. Happy Birthday Noah!! Your first month has been so tough. But your strength has taught your mommy so much and you have already made my world a better place. I love you so very much sweetheart and I can't not wait to hold you and kiss you and give you all the love you deserve. 1 Month old and a new heart! You truly are my miracle! I can not tell you how happy I am to here this story. You are so strong, and so it little Noah. I can not wait to meet him in a few days. You have such an amazing outlook and are a wonderful example to me.